The Canon MF5600 lets you print high quality documents in a flash. One of these days your Canon MF-5600 will run dry of printer toner, and then you'll soon learn that ordering Canon MF-5600 toner is generally very expensive. Thankfully, however, you do not need to get stressed about paying the high fees you'll uncover on the high street because right here at Cartridge Save you can buy all the Canon MF 5600 cartridges you want at little cost. Spend less money by buying with Cartridge Save! It's a waste of money buying the MF-5600 original cartridge or MF-5600 compatible toner down the main street when it's easy to save a fistful of cash shopping with Cartridge Save. Get one hundred per cent confidence by ordering your MF5600 toner cartridges from us as everything is protected by a no quibbles money back guarantee. Don't forget to take into account that every single order also has free delivery, typically arriving with you the next working day! One of the most versatile multifunction devices from Canon, the Canon MF-5600 printer offers print, scan, copy and fax (optional). It supports multiple functions, though the device can only print and copy in black and white. The Canon MF-5600 monochrome laser printer boasts quality outputs, with maximum resolutions up to 1200x600 dpi for prints and up to 600x600 dpi for copies. 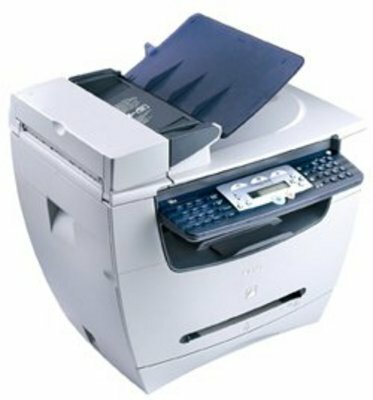 The scanner can process full colour documents, and fax comes as an option. The MF-5600 laser printer does not offer network connectivity and models are more suitable for personal use. The Canon MF-5600 multifunction printer has a rather chunky design, but it is still compact enough for desktop operation. It features a document feeder on the top panel, along with a multipurpose tray that can handle various sizes of media. The main input tray has a maximum capacity of up to 250 sheets, which should be enough for light to moderate use. The Canon MF5600 all-in-one printer connects via a high speed USB port and the unit comes with a 64 MB built-in memory. In addition to its multiple functions, the Canon MF-5600 boasts excellent print, copy and scan qualities. It offers maximum printed resolutions of up to 1200x600 dpi, while copies come out with a 600x600 dpi resolution. The MF5600 laser multifunction printer also offers great media support and can handle media sizes up to A4 (8x11 inches). It has 64 MB of memory to share between all of its functions and is compact enough for personal or small office use. Discounts on toner for the Canon MF-5600 printer are available in the form of compatible Canon MF5600 printer cartridges which are made using recycled materials and can replace the genuine Canon cartridge in this machine. The main disadvantage of the Canon MF 5600 printer would be its slow printing rates, which at 18 ppm is just not adequate for a laser printer. The device also does not support network connectivity.